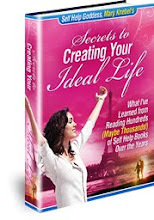 Self Help Goddess Blog: Special Interview with Liara Covert, Ph.D.
Special Interview with Liara Covert, Ph.D. I recently had the pleasure of interviewing Liara M. Covert, Ph.D. from Dream Builders Australia. Liara is a dream analyst, author, and spiritual teacher whose purpose in life is to empower and inspire others to live and love more fully. What a great purpose! Her new book, Self-Disclosure: Changes from Within, shows you how to awaken the dormant parts of your true self and understand how to identify the truth about yourself as you are now, offering you a key to unlocking your spiritual potential and opening the door to limitless happiness and love. I love the message of Liara's book, as well as the overall mission of Dream Builders. Please enjoy the interview below! Please tell us about your latest book and where the inspiration for it came from. 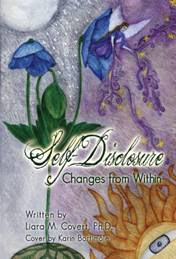 My new book is called Self-Disclosure: Changes from Within. It offers personal stories, triggers life-transforming revelations and universal lessons in form of dialogue and journal exercises. Readers decide whether this choose-your-own adventure experience involves a protagonist and a conscience or, other perspectives. Your focus at a given moment determines how you see and experience what the book offers. Each section ends with questions to invite readers to embark on their own journey to raise self-awareness. The book refers to over 144 inspirations. Many of these are presented in the form of quotes at the start of different sections. They set the stage for themes covered including esteem, fear, awakening senses, perception and love. I invite readers to explore http://blog.dreambuilders.com.au The book is available through this site, Amazon, Barnes and Noble and also other on-line and local distributers. I love the name of your company, Dream Builders, because I believe that everyone has ability and potential to make all their wildest dreams come true. Can you elaborate on this a little? What is the mission of your business? The Dreambuilders Australia Blog emerged from my passion for writing. It came into being in 2007 when I consciously chose to write for the pure joy of it. 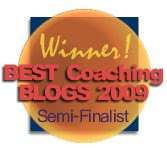 This site then branched into dream analysis services, a raising consciousness e-course, books (Harness the Energy of Your Dreams-July 2009) and forthcoming book-related workshops. The purpose of the business is to encourage dialogue, empower and inspire others to live and love more fully. What do you think is the biggest thing that holds people back from achieving their dreams and what can they do to overcome this? Fear is the biggest obstacle. People fear anything they perceive but refuse to accept. Nothing that you refuse to accept becomes part of conscious awareness. This is not dangerous except when you choose to view it that way. The strain of inner judgment becomes disheartening and intolerable unless people learn to remember fear is an illusion. People can choose to shift focus and concentrate on love energy which is opposite of fear. You do not experience inner peace because your ego chooses to fear instead. The ego is afraid of the spirit side of you. The only way to overcome fear for good it to undermine the ego thought process, to recognize it for what it is and choose not to permit it to control you. Attitudes and judgment are ego-based. The ego deludes itself into believing its version reality until self-induced conscious awakening changes everything. The truth is only ever felt, experienced when it is accepted fully. What are some of the of the most important lessons you have learned on your life journey up to this point? Everything you do is based on choosing love or fear. Resistance to truth is futile and surrender is what heals delusion. True inner knowing does not deceive but perception can. Spirit or soul does not perceive and ego cannot know. There is no death but fear nurtures belief in death. Every loving thought connects everyone and everything. 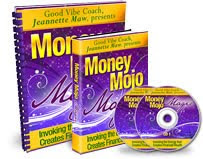 Do you believe in the law of attraction, and if so, how do you practice it in your own life? I live the law of attraction. I share specific examples throughout the book, Self-Disclosure: Changes for Within. It is the raising conscious awareness of my choices and their implications that transforms my existence and can do the same for every human being, if that is their choice. What is one message you hope to get out with your new book? To read through the experiences in this book helps prepare you to reframe your own lessons. Those people who choose to read it are already awakening to a more conscious path. They are ready to learn to recognize their thoughts and feelings as they are and shift vantage points. Mary, it is always a pleasure inspire and exchange meaningful ideas. I am grateful you invited me to dialogue with you here. May your own initiatives continue to enrich your own life as well as the lives of others. Addicted to Perfectionism? "Wreck this Journal!"